This picture has a Jenkins CI butler in it. We often say that you should build and promote your Docker containers via automation, but what does this really look like? In this post, I will outline the core principles for setting up a robust Docker pipeline to develop secure automated releases of docker images into a secure production Docker registry. In a future post, I will discuss an implementation in Jenkins Pipelines with the Jenkins Artifactory Plugin. Of course, Jenkins isn’t the only thing you can promote with. Any tool that can call the REST API whether it be a CI tool like Jenkins, Bamboo, Travis etc. or even an orchestration tool like Ansible, Chef or Puppet can promote from one Docker registry to another. No Docker image/tag should be able to reach a production Docker registry without being tested as built. The deployed application should be run using Docker. Nevertheless, we still want a lifecycle which allows us to update base layers of the Docker image easily to receive security updates. To do this, we should think of our Docker images as containing two sets of layers each of which may have multiple layers. 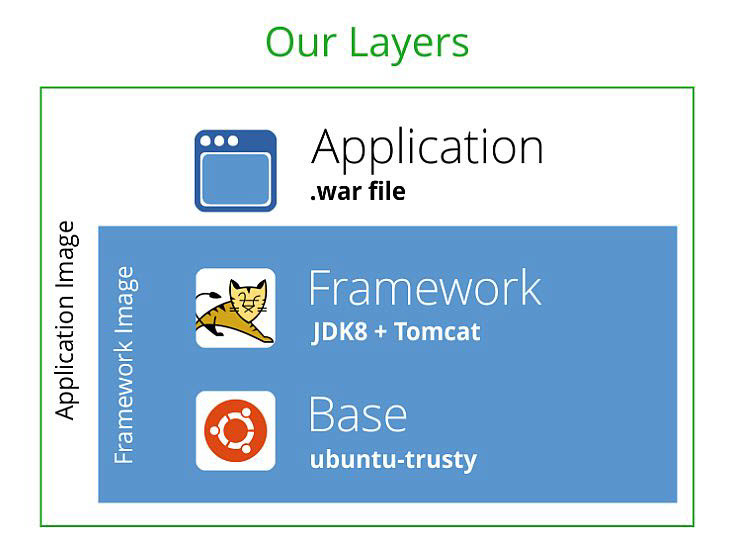 The first set of layers is a framework layer which my application is installed on top of, and the second set of layers is the layer in which an application is installed and configured. On top of that, we add the “application layer”. In this example we simply add in the WAR file and any configuration files it requires to create the “application image”. In this case, all we are doing is pulling it from the docker-dev virtual Docker registry, which will, in turn, retrieve the latest tag of the official Ubuntu image from Docker Hub, and then we can add an ownership label (so someone knows who to call to ask about the test process) and push it out to a local Docker registry as belonging to you, and then test it and promote it to the docker-prod registry. This promotion pipeline implements a sandwich testing approach combining top-down testing of the application and bottom-up testing of the framework simultaneously. By having independent test and production pipelines of the framework vs. the application, you not only have the opportunity to re-use the framework, but you separate security update concerns from application development. We trigger the framework pipeline whenever we want to update the framework, that is, whenever there is either a.) a security fix; or b.) 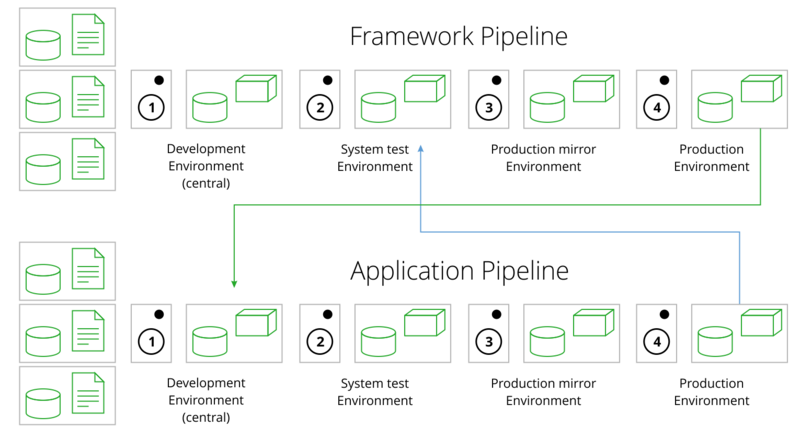 a need to change the infrastructure components of our framework or their configuration. In this case that would mean whenever ubuntu:trusty is updated, or whenever there is a new JDK or Tomcat release that we want to take, or if we need to change the dockerfile for whatever reason. We trigger the application pipeline when there is either an updated framework image released to the production Docker registry, or when there is a code change in the application. So that’s the pattern. In a future post, we will discuss the more detailed implementation using Jenkins Pipelines to manage the flow of images between Docker registries. Are you ready to start managing your container lifecycles with Artifactory?